In the high-stakes legal world, contentment doesn't last long. Though Mike (Patrick J. Adams) has officially left Pearson Specter in favor of a cutthroat investment firm, temporarily placating the pressure of covering his elaborate lie, all is not well. 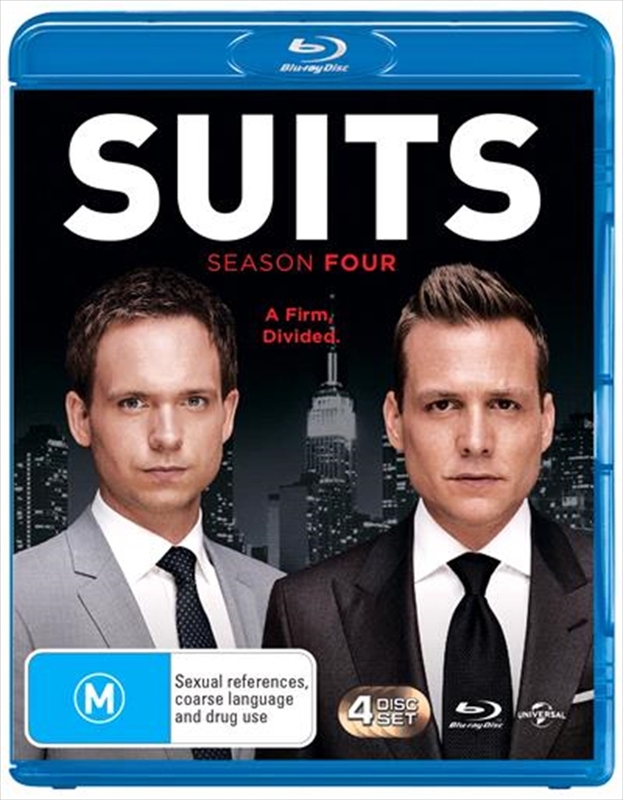 Harvey (Gabriel Macht) and Mike quickly find themselves on opposite sides of an intense takeover battle. And, with the SEC's fervent advances on Pearson Specter increasing in severity, Mike and Rachel's (Meghan Markle) relationship facing the ultimate test, and Jessica's (Gina Torres) impartiality being questioned, personal and professional boundaries are crossed by all. But just when all the pieces begin to fall into place, an innocent conversation between Louis (Rick Hoffman) and Mike leads to a potentially lethal revelation. Watch every season four episode of your favorite legal drama back-to-back and uninterrupted!